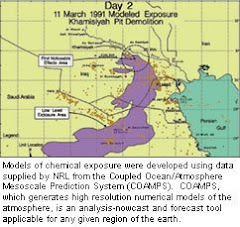 (91outcomes.com) – In surprising news today, while taking action that would continue the unparalleled research program, the U.S. Senate Subcommittee on Defense Appropriations has short-changed the acclaimed Gulf War Illness Research Program. While the House version called for more than twice as much, the Senate Subcommittee’s version would appropriate only $8 million for DoD’s Gulf War Illness Research Program. The Subcommittee is chaired by Sen. Daniel Inouye (D-Hawaii), who also chairs the full Senate Appropriations Committee. The Subcommittee’s Ranking Republican is Sen. Thad Cochran (R-Miss.). The program has been funded and managed since 2006 by DoD’ s Congressionally Directed Medical Research Program (CDMRP) at Ft. Detrick, Maryland, earning praise from scientists and veterans alike. 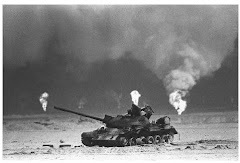 Gulf War Illness, also known as Gulf War Syndrome or Gulf War veterans’ illness research was funded far lower than any other research program, which included $150 million for breast cancer research and $80 million for prostate cancer research. In another surprising move, ALS (Amyotrophic Lateral Sclerosis, also known as Lou Gehrig’s Disease) and MS (Multiple Sclerosis) research would be discontinued under the Subcommittee’s proposal. Meanwhile, destruction of chemical warfare munitions earned a $1.5 billion recommendation. Gulf War veterans and interested supporters should immediately contact their Senators, especially members of the Senate Appropriations Committee, to demand that the Gulf War Illness Research Program funding be increased to at least $25 million, and to restore funding to the ALS and MS research programs. I wrote Arlean Spector. Let us see if he replies and how he votes. Everyone needs to write in.